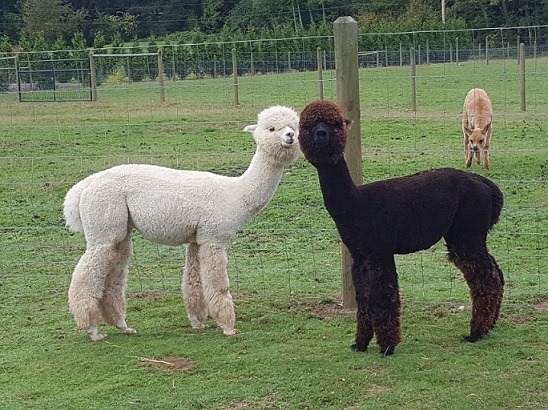 MICHELANGELO'S ACCOYO MONA LISA is one of the best foundation Females in Sunny Alpacas. 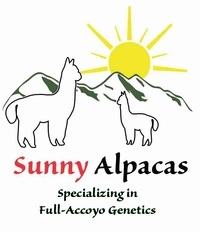 Her two offsprings are all Best Bred & Owned, Sunny Accoyo Morning Glory and Sunny Accoyo Monaco! We are very thrilled with this full Accoyo white female cria, Mona Lisa. She has bright white fleece. She is a healthy, active, curious and friendly girl. Her fleece is so soft to touch! 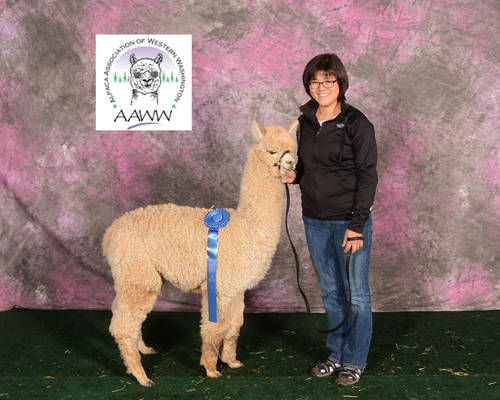 Her sire, El Nino's Accoyo Michelangelo, is one of the finest full Accoyo males in the US! Sunny Accoyo Monaco is a stunning full Accoyo sired by Black Accoyo Jackpot. 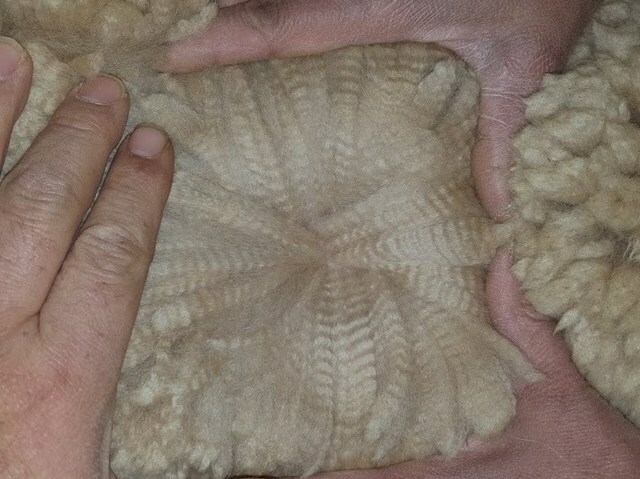 She is a big boned girl with good conformation and very bright, fine and dense fleece with long staple length. It is very possible she has black color gene. Her sire is Black Accoyo Jackpot is the only solid black full Accoyo herdsire on earth. Her dam, Michelangelo's Accoyo Mona Lisa, is an El Nino’s granddaughter. She is a beautiful girl. 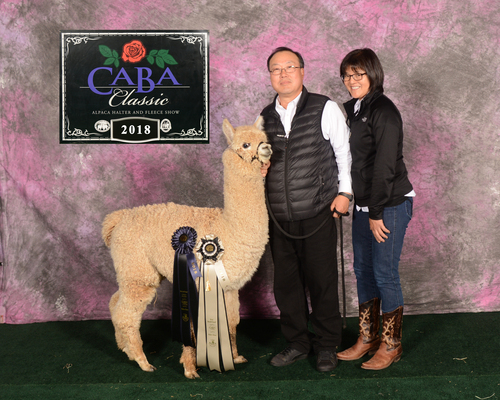 Her first daughter, Sunny Accoyo Morning Glory, got the best B&O at CABA 2017. Monaco is full of powerful genetics with Felix, Leon, Express, El Nino and Victoria.